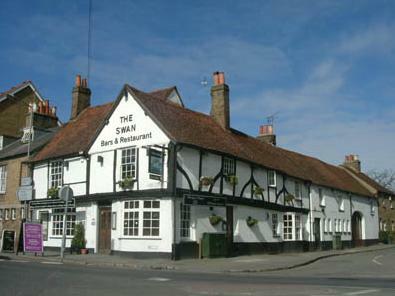 We had eaten at The Swan at Iver on a Saturday night so we were looking forward to a Sunday lunch in Buckinghamshire. Unfortunately, when we got there, it was almost empty and the music choice was strange for Sunday lunch (Latin to 7 years old Robbie Williams anyone?). The meat was ok, but it was nice that the vegetables were brought out in a dish to serve ourselves. The service was quite good, being attentive when needed. Overall, the Sunday lunch was nice and we would like to go back there. Welcome to Best Sunday Roast. We anonymously review roast dinners and post our findings on here. We are aiming to cover the whole of the UK at some point, currently have Sunday lunch reviews in London, Kent, Middlesex, Surrey, Coventry, Essex, Hampshire and Oxon. These include Bromley, Chiswick, Ealing, Guildford, Islington, Notting Hill and West Malling. Remember to check out our deals with the Gourmet Society Card promotional code - well worth it if you dine out often!